The arts and artists from Northern Ireland have made a huge impact on the world stage. The impact the arts and artists from Northern Ireland have made on the world stage far exceeds what might be expected from a small country with a small population. Artists such as rock legend Van Morrison, movie star Liam Neeson, Barry Douglas (Tchaikovsky International Piano Competition), Seamus Heaney (Nobel Prize for Literature) and celebrated flautist Sir James Galway, have helped to draw the attention of the world to the creative resources that Northern Ireland can draw on. Northern Ireland continues to produce artists of international standing. The Arts Council’s International Policy expresses our commitment to creating opportunities for artists and arts organisations from Northern Ireland to develop international connections and to showcase their work on the world stage. We support artists’ international ambitions through a number of funding schemes, including travel awards and residencies, and though the Artists’ International Development Fund, which in partnership with the British Council supports international developmental opportunities for talent and artistic excellence from Northern Ireland, thereby enhancing Northern Ireland’s international artistic development, reputation and standing. As part of the Arts Council’s International Programme, we have developed a number of showcase opportunities for artists and organisations. For example: artists are developing collaborative work in the remoter regions of Europe through the ‘Corners: Research and Development’ initiative; theatre companies are performing at the annual Origin First Irish Festival of Theatre, a festival known to open doors to North America; and the excellence of the range of artistic practice from Northern Ireland has been on prominent display at the Brussels Platform, a collaboration between the Arts Council and the Northern Ireland Executive Office in Brussels. Through the Brussels Platform, local musicians, writers, dancers, theatre practitioners and visual artists are given the opportunity to showcase their work at a series of monthly cultural events in front of an influential international audience. The international profile of the arts from Northern Ireland has never been stronger. 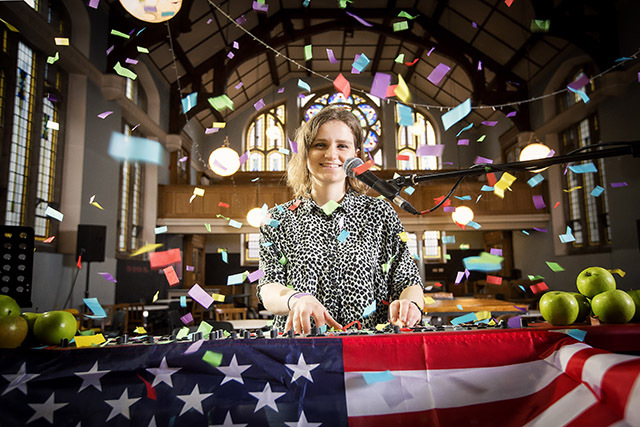 Rising star and singer-songwriter, Hannah McPhillimy, will perform at the Irish Arts Center in New York City on 9 March as part of their SongLives series, supported by the Arts Council of Northern Ireland, British Council and the Northern Ireland Bureau.